Then I got to row 19 and dropped a stitch. :bangs head: Normally, this isn't a big deal - I'm good at picking up stitches. Only this one was in the middle of the toe pattern, and I had to tink back 3 rows to get the stitch count correct. :sigh: Lifelines are my friends....... I'm currently on row 25. Finally. Herself is plugging along with her practice gloves. 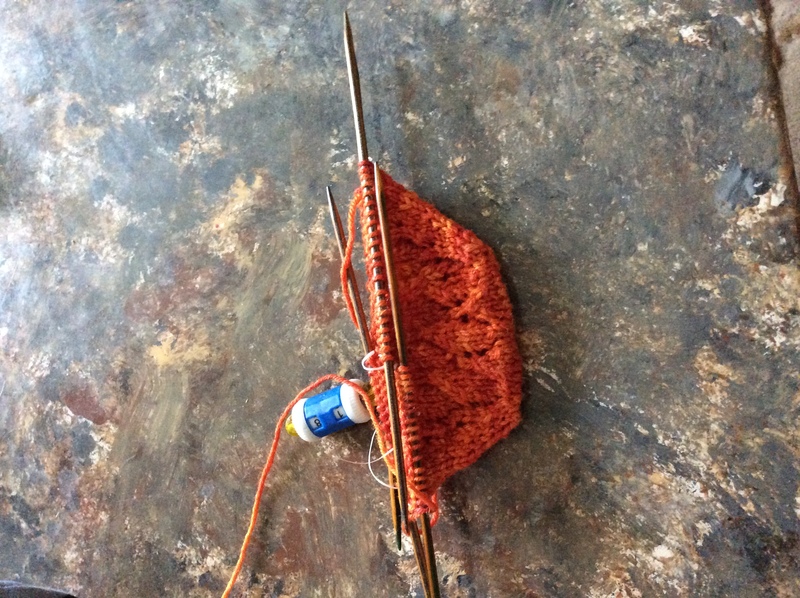 She's doing pretty well - 1st project in the round, using 5 double pointed needles, with 2 colors, and both knit and purl stitches. I've only had to help her 2x - once on binding off for the thumb (the clever child figured out how to CAST ON on the next row all by herself!!!!!) 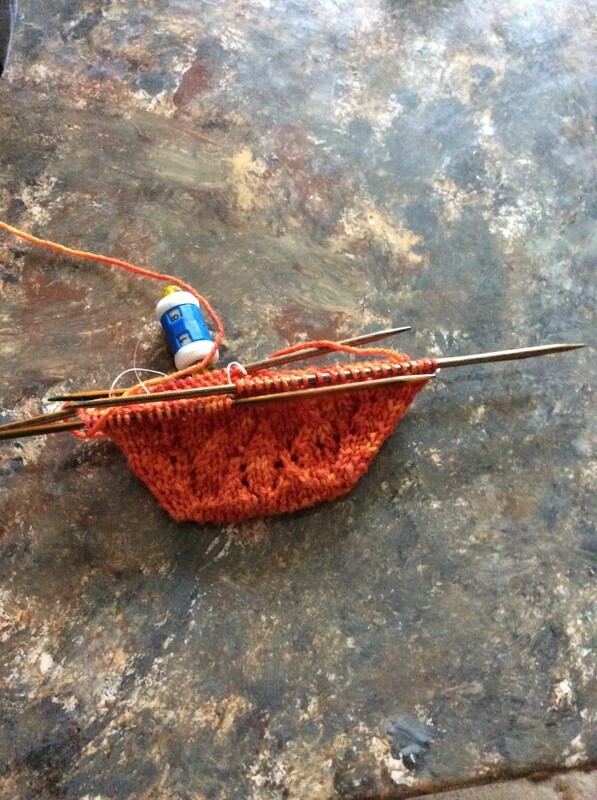 and once to fix an accidental yarn-over she did. Yes, I'm a proud mama right now! This entry was originally posted at http://fiberaddict.dreamwidth.org/813673.html. Please comment there using OpenID.